To provide services to Users, to communicate with Users about Best 100 Dealers services and franchise offerings, to respond to User inquiries, and for other customer service purposes. To tailor the content and information that Best 100 Dealers may send or display to Users, to offer location customization, and personalized help and instructions, and to otherwise personalize User experiences while using the Website or our services. For marketing and promotional purposes. For example, Best 100 Dealers may use User information, such as email address, to send news and newsletters, special offers, and promotions, or to otherwise contact Users about products or information we think may interest them. Best 100 Dealers also may use information regarding Users to assist us in advertising our services on third party websites or administering sweepstakes, contests and other promotions. Best 100 Dealers does receive non-personally identifiable information through log files and Cookies when the User accesses Best 100 Dealers Website. Should the User choose to disable or reject Cookies, certain areas of Best 100 Dealers website may not display properly. Best 100 Dealers monitors the quantity of visitors and each visitor’s purpose through Cookies. Specific Technical information: IP address; page views, operating systems, Web browser software, referring and destination Websites — is automatically collected from the User (with Cookies enabled). Best 100 Dealers uses this information with User statistics to improve Best 100 Dealers website. Best 100 Dealers does not link any information gathered from Cookies or log files to personally identifiable information. Currently, our systems do not recognize browser “do-not-track” requests. As noted above, Users may, however, disable certain tracking as discussed in this section (e.g., by disabling cookies). We are not aware of third parties that collect personally identifiable information about User online activities over time and across different Web sites when Users visit Best 100 Dealers Website. Best 100 Dealers does not share User information with third parties without the express written consent of the User. Certain special circumstances require that Best 100 Dealers share User information: (1) where such disclosure is necessary to comply with the law or to protect the safety of our Users or others, or (2) with service providers performing services on our behalf, which may include communication, database, event management, hosting, mailing and marketing services. Any service providers employed by our company will have access to User information for the sole purpose and to the extent necessary to enable performance of service on behalf of Best 100 Dealers. 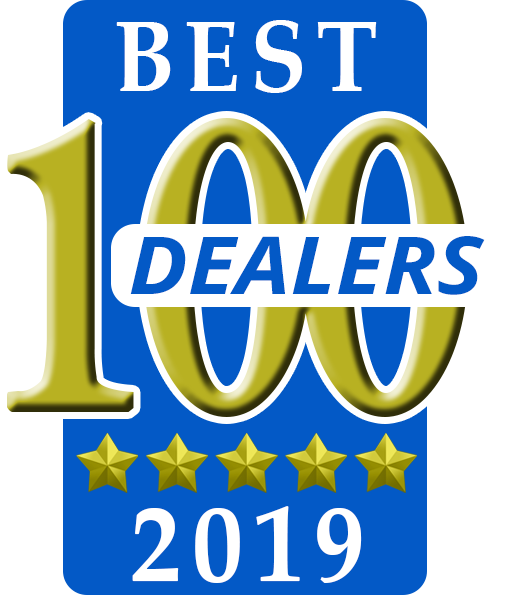 Best 100 Dealers has no obligation to monitor Best 100 Dealers website or the use of Best 100 Dealers, or to retain the content of any User session. However, Best 100 Dealers reserves the-right at-all-times-to monitor, review and/or retain any information in order to comply with the law or protect the safety of our Users or others. If Best 100 Dealers is acquired by or merged with another company, if substantially all of our assets are transferred to another company, or to a third party as part of a bankruptcy proceeding, Best 100 Dealers may transfer the information collected from Users to the other company or third party. Best 100 Dealers may occasionally include links to external sites on its Website. The inclusion of any link does not imply endorsement from Best 100 Dealers of such external website or the products and services offered at such site. If the User links to a third party site from Best 100 Dealers website, any information the User reveals through that third party site is not subject to Best 100 Dealers Privacy Statement herein. Best 100 Dealers website employs industry-standard security measures designed to protect against loss, misuse or alteration of information provided by the User via Best 100 Dealers Website. Best 100 Dealers cannot fully eliminate all risks, and is not to be held responsible for unauthorized access to information by Internet Users with malicious intent or those who have obtained such access through illegal means. This Website is not designed for children under 13. If Best 100 Dealers discovers that a child under 13 has provided us with personal information (except for information provided by a child’s parent in connection with the services provided by Best 100 Dealers or its franchisees), Best 100 Dealers will delete such information from its systems.